Collection development for Spanish-language collections is an ongoing process. Below, we have aggregated a few resources that will direct you to Spanish-language vendors and publishers. America Reads Spanish has a developed the Essential Guide Spanish Literature most recently updated in 2012. Additionally, America Reads Spanish aggregates newly released titles and bestsellers on their website as well. The Seminar on the Acquisition of Latin American Library Materials, has put together a list of booksellers and book vendors. ​Libro por Libro features information about Spanish language materials for children and teens. SLJ has assembled a list of vendors and booksellers for both Spanish print and media resources in this column from September 2015. Below are several other vendors or publishing houses who sell Spanish-language materials for youth. 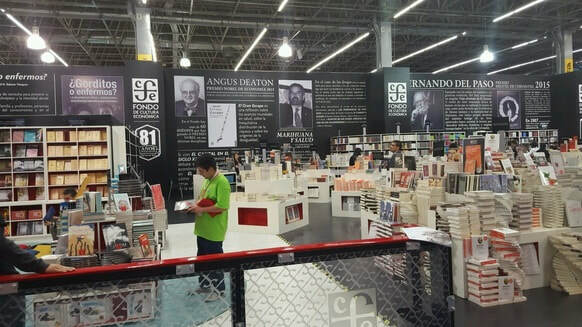 IBBY Mexico: Guía de libros recomendados 2016. Click here to download (in Spanish). Fundación Cuatrogatos. Click here to read (in Spanish). Pekeleke. Click here to read (in Spanish). Loqueleo México, a Santillana imprint. Click here to read (in Spanish). Canal lector. Click here to read (in Spanish). The Texas Library Association hosted an excellent Spanish Language Collection Development webinar. Click here to review the recording and the files. You can log in as guest to view the archived webinar and PDF of the presentation. "La Comunidad Latina y Tu Biblioteca / The Latino/a Community and Your Library: Strategies for Building Relationships and Resources for Collection Development" ~ learn strategies to connect with your local Latino/a community, including recommended community partnerships and programming ideas for all ages. Also learn about a variety of resources to develop your library collections to match the needs of your communities, including information on the "Libros for Oregon" project that plans for an Oregon library book-buying cooperative for the International Book Fair in Guadalajara and how libraries can participate. This year's Feria Internacional del Libro (FIL) is taking place November 25 to December 3, featuring Spain as the guest of honor. There are over 1,900 publishers representing 44 countries that participate in FIL each year. At the 2016 OLA pre-conference workshop organized by our chapter, participants asked for us to put together a list of recommended publishers to visit at FIL. To this end, several selectors have put together the list below to help public library selectors navigate through the fair. The list includes the stand number for each publisher, whether they offer children's or adult materials and notes to consider for each publisher. We hope you will find this list helpful as you plan your trip. Our goal is to continue updating this document each year before the next FIL with the help of those who attend the previous year.